Excerpted from the book Fearless Genius: The Digital Revolution in Silicon Valley 1985-2000 by Doug Menuez, Atria Books. Foreword by Elliott Erwitt, Introduction by Kurt AndersenJeff Bezos, photographed by Dough Menuez. Documentary photographer Doug Menuez has spent time with some of the most notable figures in Silicon Valley. But it was during a 1994 trip to Aspen, Colorado, when he met a young Jeff Bezos, who was looking for funding for his brand-new company. Both Menuez and Bezos were in Aspen for an event held by venture capital firm Kleiner Perkins. “He was wearing this shirt that said ‘Amazon’ on it. My wife is Brazilian, so she said, ‘Let’s go talk to him,'” Menuez said to Business Insider. Menuez, his wife, and Bezos all got on a gondola together. Bezos used the 20-minute ride to practice his pitch for Amazon. Menuez says that Bezos was open and friendly when talking about his new company. 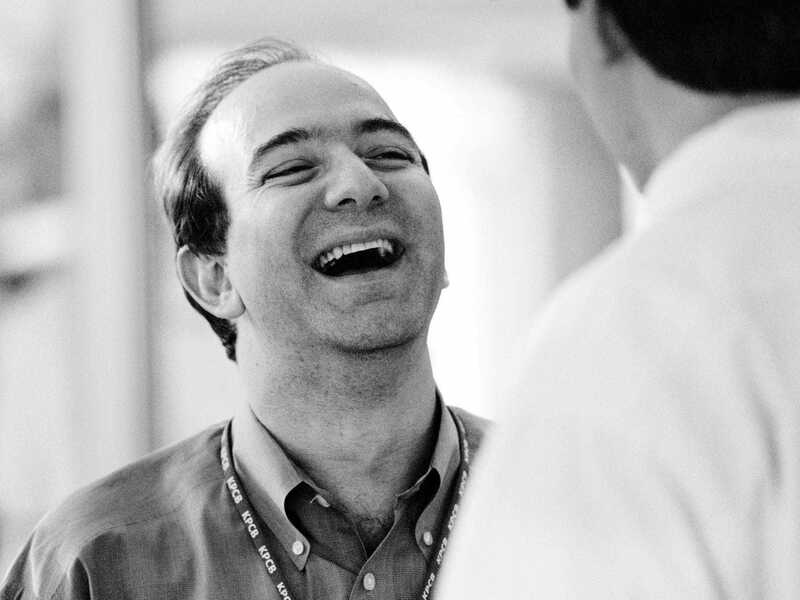 Several photos of Bezos appear in Menuez’s new book, “Fearless Genius: The Digital Revolution in Silicon Valley.” Menuez spent 15 years behind the scenes at major Silicon Valley companies, including Apple, Adobe, and Sun Microsystems.